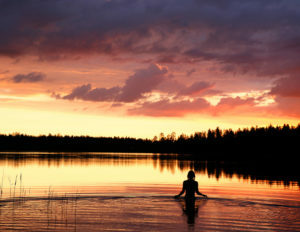 The midnight sun can be witnessed much of the summer (May – August) in Iceland and northern Scandinavia, but is most prominent the closer you are to the summer solstice, which is June 21. The sun doesn’t set during this period; instead it sits low in the sky during the midnight hours. The further north you go, the more you see, and the best locations would be at or above the Arctic Circle. Iceland and the northern areas of Norway, Sweden, and Finland are the best places to witness this phenomenon, but even if you find yourself in Denmark, Greenland, or the southern parts of Norway, Sweden, or Finland, the sky never truly gets dark during mid-summer. More daylight gives you an opportunity to enjoy your destination long into the night! This time of year is celebrated with bonfires and other evening festivities, particularly in Sweden and Norway. The northern lights, also known as the aurora borealis, are seen primarily during the winter months (November – March), although they are occasionally spotted as early as August and into May if the conditions are right. Solar activity/particles bouncing off Earth’s magnetic field are what create these colorful, dancing lights. While they are still present during the summer months, they cannot be seen due to the long hours of daylight provided by the midnight sun. 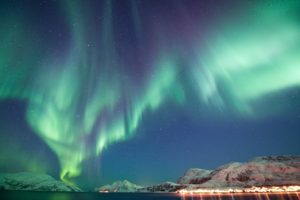 We have numerous tours centered on the hunt for these elusive lights, including our Arctic Auroras in Tromsø, Norway Signature Journey, as well as a variety of excursion options which can be added to any custom Scandinavia tour. These excursions will take you away from the city lights by bus or boat, or even by snowmobile, snowshoe, or dog sled! You have the best chance to witness the colorful auroras above the Arctic Circle, so Iceland, Greenland, and the northern regions of Norway, Sweden, Finland are the best places to try your luck. However, since this is a naturally occurring phenomenon, sightings are not guaranteed, and skies with few clouds are needed in order to see them.